Caring people make the difference at Bethany Village Assisted Living. Our team members focus on your physical, emotional, mental, social and spiritual well-being through person centered care. We take our investment in you and your family seriously. 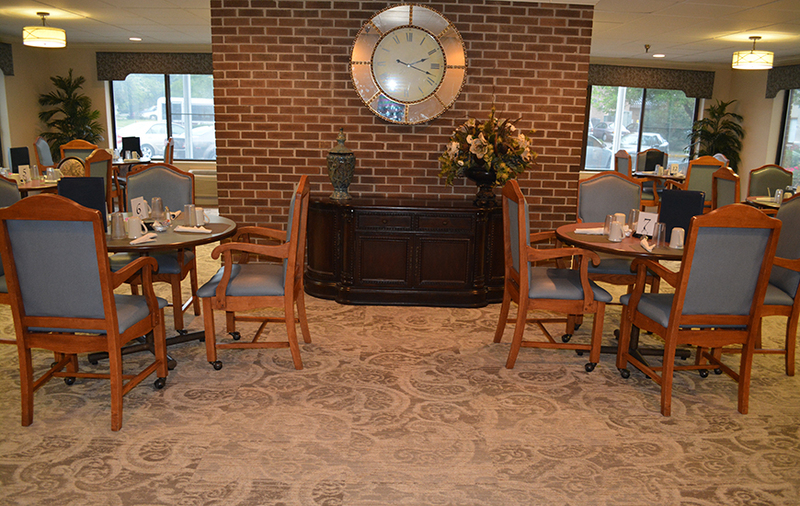 From skilled nursing and long-term care to personalized memory support in our Auguste’s Cottage, we offer a full continuum of care at Bethany Village. Residents in our beautiful assisted living apartments can move seamlessly into our healthcare community and receive just the right level of care and services needed. We are conveniently located in Indianapolis, with easy access to I-65 and I-465. Bethany Village is close to a wide variety of attractions like the Indianapolis Zoo and AMC IMAX movie theater and nearby shopping. Family and friends are welcome to visit and enjoy all that Indianapolis has to offer! Bethany Village accepts private pay, Medicaid Waiver, Money Follows the Person, VA Aide and Attendance, and Long-Term Care Insurance. Stop by for a visit and see our newly remodeled Assisted Living Apartments or call a Senior Lifestyle Specialist today. We look forward to serving you! Want to learn more about Bethany Village?